Wanna chuck big clouds? This tank will help. Aspire tanks continue to be a fan favorite for a reason. Yes, they’ve released some tanks that were pretty standard — but mostly, vapers know Aspire for solidly built beasts like the Aspire Nautilus tanks or the recently released Aspire Revvo. With a focus on vaping tech innovation, Aspire goes above and beyond to make their customers happy, and are continually finding new ways to improve their tanks, coils, and the overall performance of their sub-ohm vaping products. If you haven’t heard of the Athos tank, you probably missed its release last year. Although it isn’t Aspire’s newest model, it is arguably one of their best tank releases, especially if you’re a cloud chaser. Read on to find out why the Aspire Athos is one of the best cloud chasing sub-ohm tanks out there. As most cloud chasers know, the airflow of your tank has a lot to do with cloud production. There are other factors, such as the PG/VG percentage of your juice and the type of coils you choose to use. However, the airflow slots of your tank are a huge factor in determining what size clouds you’re going to get. The Aspire Athos tank has three generous airflow slots on the bottom, which means if you keep your airflow wide open, you’re going to get some envy-worthy clouds. When you purchase the Aspire Athos tank, you receive an Aspire Athos A3 0.3 ohm triple coil, as well as a A5 0.16 ohm penta-coil. The A3 is recommended at 65-75W vaping, while the A5 is for 100-120W vaping. If you aren’t already aware of the difference in using a dual, triple, or quad coil, then you’re missing out. The best way to get those luscious clouds is to use a single coil that covers a lot of surface area or to opt for a multi-coil head. The A3 produces some impressive vapor, however, using the A5 penta-coil will give you the most vapor production you’re going to see from the Athos tank. Available for purchase, but not included in the initial tank package, is the A1 coil 0.16ohm coil, which is a nice happy medium between the A3 and the A5. It functions best anywhere from 85-100W, and since it’s a parallel coil, gives also gives you massive vapor and some great flavor to boot. Need replacement coils for your Aspire Athos tank? Buy them here! The Aspire Athos tank was designed with power vapers in mind. So, of course, you’re able to use coils that reach higher wattages. However, keep in mind that the Athos is best with a dual or triple battery mod, because it’s harder to reach those high wattages on a single battery build. When there is more power behind your mod and tank, there is more heat and of course, more vapor. It’s elementary, dear Watson. Most of you cloud chasers know your stuff and many of you wouldn’t dream of using a single battery set up, which is why the Athos tank is a perfect fit for vapers who prefer bigger clouds and higher power settings. 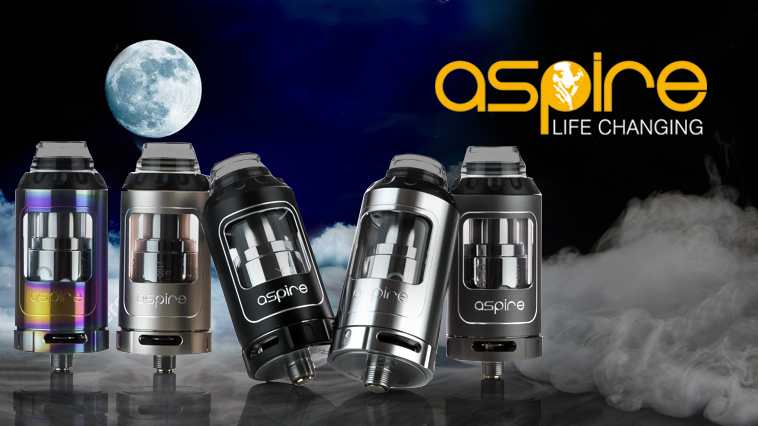 What Else is There to Know About the Aspire Athos Tank? Here’s the low-down. The Aspire Athos tank is constructed out of solid 304 stainless steel. The colors available are grey, black, gold, stainless, and anodized rainbow. The design is sleek and isn’t at all clunky, but it also has a smaller, 4ml capacity. The Athos has a wide-bore 12mm drip tip. Perhaps the nicest thing is the stainless steel cage that surrounds the borosilicate glass. The caging protects your glass from shattering easily. The Athos produces some average to above-average flavor, depending on several factors, i.e. the coils, the juice, the wattage, etc. The top fill system isn’t a sliding one, so you’ve got to unscrew the top cap to access the fill ports. This tank runs for a little over $35 retail (but you can find it for less on our Deals Page), but its performance and build really makes it worth the few extra bucks. 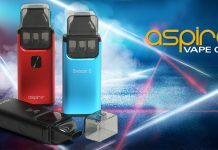 What Do I Get When I Purchase the Aspire Athos Tank? 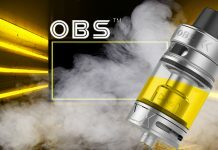 Are you looking to buy a cloud chasing sub-ohm tank? Purchase the Aspire Athos Tank. Want something a little different? Check out our review of the Aspire Revvo tank. Previous articleWhich Country will JUUL Conquer Next?